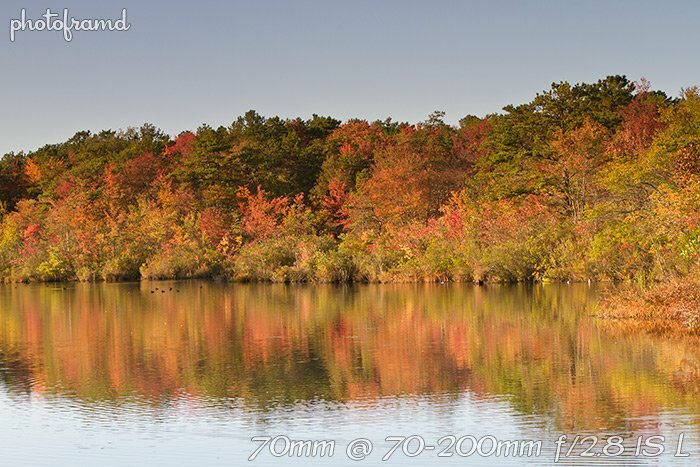 Home »Photography»Canon 7D Tips – What should my first lens be? Over the past few weeks, I have been asked the same question over and over – what should my first lens be for the Canon 7D? This article is a summary of my response. The Canon 15-85mm is an average kit lens. It covers a good range (equivalent to 24mm – 136mm on traditional film SLR because of the 7D’s 1.6x crop.) The lens is light weight and has Image Stabilization. But, it has a variable aperture of f/3.5 to 5.6 which is not great and optically it is average. The better (and more expensive lenses) are either the Canon 17-55mm f/2.8 IS EF-S or the Canon 24-70mm f/2.8 L. I regularly use both of these lenses, and they make great general-purpose lenses. They are a great first “partner” for the Canon 7D. 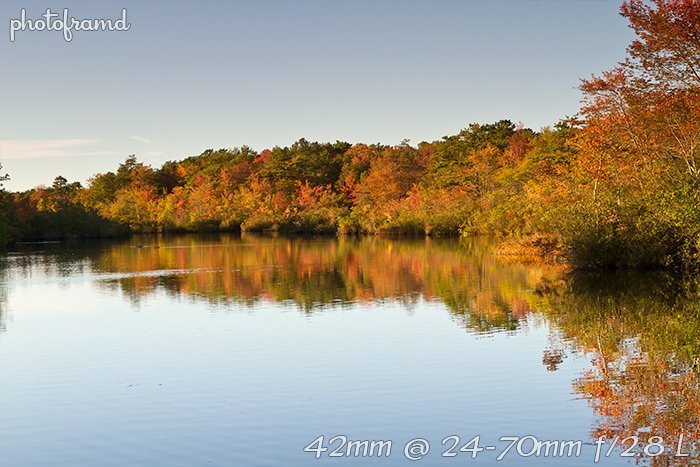 To help you decide, I photographed the same scene with these lenses, using only minimal color correction in Photoshop. All photos were shot with the same custom white balance. 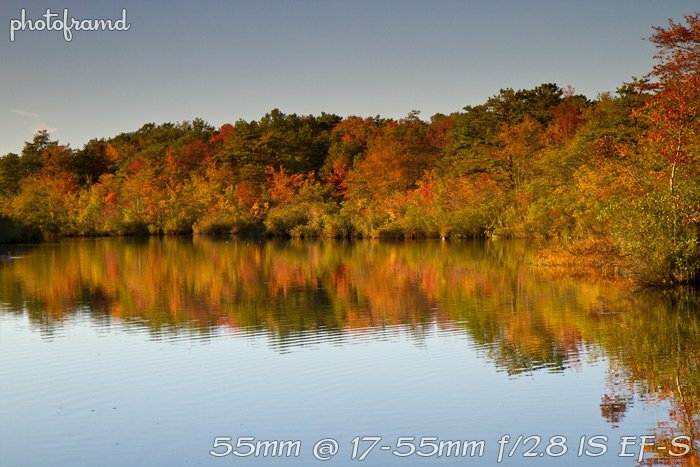 I did not use a circular polarizer which can cause additional variations going from lens to lens. Instead, I used a nuetral gradient filter to balance the light between the sky and water. More on neutral grads later. The 17-55mm EF-S is similar to the kit lens, but much sharper and has an aperture of f/2.8 (equivalent to 27mm – 88mm with the 1.6x crop.). I use this lens when I want to shoot video or a mix of video/photos since it has Image Stabilization. It is also compact and fairly light weight. The Canon 24-70mm L is one of Canon’s sharpest lenses throughout the zoom range (equivalent to 38mm – 112mm with the 1.6x crop). This lenses has been my favorite for years. However, it is big and heavy, and will take some getting used to. Best to try this lens on the 7D before ordering it. But, the image quality is worth it! A great companion to either of these lenses is the Canon 70-200mm L lens. Canon actually has 5-different versions of this lens to accommodate different price points. The top lens is the revamped Canon 70-200mm f/2.8 IS L II. It is also the most expensive one. The older 70-200mm f/2.8 IS L is just as good and you can fine some bargains on this lens both new and used. (Both Adorama and B&H regularly have great deals on this used lens.) I would recommend the older version of the lens until the new one comes down in price (about $1000 US difference). This lens is also available without the Image Stabilization and in an f/4 which makes the lens cheaper and lighter. However, I still recommend the older 70-200mm f/2.8 IS L. You need to look at these lenses as an investment for future use. They also retain their value very well should you want to sell or trade them at some point. If you want to add a wide angle (or ultra-wide angle), there are two lenses I would recommend. The Canon 10-22mm f/3.5-f.4.5 EF-S is very wide and fairly sharp with minimal distortion (problems with many wide angles). But the widest non-fisheye lens right now is the Sigma 8-16mm f/4.5-f/5.6. It is just as sharp and $200 cheaper, but you loose the wider f-stops. I already discussed these lenses in another article. You may also have heard about Canon’s new 8-15mm f/4 L lens. This lens is a fisheye and will distort straight lines into curves. It will also be at least $1000 more. Several readers have also asked me about the Tokina 11mm – 16mm F/2.8 for Canon. I have not tried this lens, but may have a chance to experiment at PhotoPlus Expo. Hope this helps with selecting your first “partner” for the Canon 7D. Remember, these lenses should be treated as an investment in your future. Don’t settle for anything but the best. ← Previous Previous post: Goodbye Palm Pre, Hello Samsung Epic 4G! The tokina’s a fantastic lens, I used it quite a bit before I switched over to full frame. I have tried the Canon 17-40mm L. Most photographers that I know have moved on from this lens to the Canon 24-70mm L for its f/2.8 and overall sharpness. I sincerely respect entire content of this site. I started reading this after getting 7D 2 months back. Great work throughout. I used to have 15-85 lens and as you said it turned out to be an avg. Good only in f/5.6 and f/8 somewhat. I purchased 17-55 f/2.8 yesterday and waiting eagerly for the delivery. Good luck with the new lens! You will see a huge improvement in the image quality for both stills and HD-Video over the kit lens. Hi, i really love your website, i get inspiration on it. I have a question, i watched some of your 360º VR Shots and they are nice. Please can you tell me about your workflow/stuff that you use to create such great 360º VR images, any recommendation? What is better, fish eye lenses or wide angle (not fish eye). Thanks! I use the Sigma 4.5mm Fisheye lens. Take a look at my article Creating 360° panoramas with PTGui. I’m very curious as to your thoughts on the quality difference between the 24-70L and the 24-105L. 24-70mm L currently does NOT have Image Stabilization while the 24-105mm L does. Do you use a uv filter as protection on your lenses? If so which ones when dealing with video. I have the 7D with the Tamron 17-55mm and am getting the Tokina 11-16 soon. Thanks. I only use Hoya Filters, either HMC or Pro1 (for its low profile design with wide angle lenses). Hoya’s multi-coating blocks a minimum of 97% of UV glare and does not rub off, making it very easy to clean with a micro-fiber cloth. I did buy one B+W UV filter at J&R on a Saturday. I accidentally dropped it while changing filters and it completely shattered – even the thread came off the metal ring! Never again! For some reason, J&R in NYC does not carry Hoyas, even though they insist B+W are better. (For J&R, “better” means “in-stock”.) Avoid J&R entirely and go to either Adorama or B&H – they carry the full Hoya line in all sizes. Thanks – happy to help! Did you see my article on the American Photo Model Shoot? I used primarily two lenses for these shots – the Canon 17-55mm f/2.8 EF-S and the Canon 70-200mm f/2.8 IS L. Both lenses are very sharp, have Image Stabilization and an f/2.8 for low-light situations. 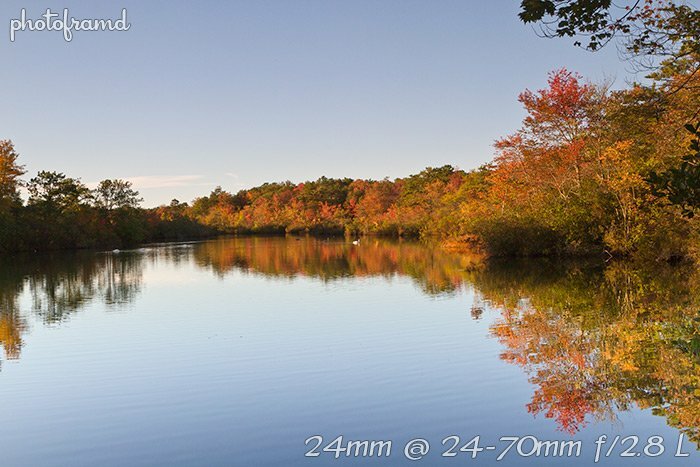 The Canon 24-70mm f/2.8 L is also a fantastic lenses, but does not have IS. Sigma makes equivalents to these lenses which are optically very similar but substantially less money if you are trying to stay in a budget. See those active AF points? They look cute in a sales brochure, but the scary fact is that they stay on and stay there as you’re trying to compose! They look really bad if you have an image in the finder you’re trying to see, instead of a blank wall as shown above. If you use just one AF point you’ll only have one, but of course it will still be lying right over your subject. A firmware defect prevents these from going away after the focus has been locked. The Canon 5D Mark II blinks these in red, but on the 7D, they are big, black and nasty and don’t go away. 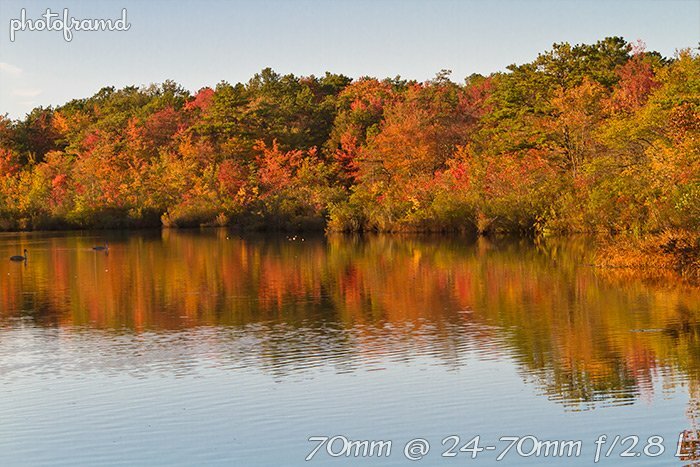 Please take a look at my article Canon 7D Tips:Problem focusing? Customize the AF! As for the the display of the AF points, you can control how they display through the custom functions when you are in P, TV or any of the other shooting modes. Custom Function III:9 controls Display AF Points. Change it to 0 just to display the active AF area. Custom Function III:8 controls VF display illumination. Change it to 0 or 1 to flash on AF Lock. Thanks for all of this wonderful information, truly appreciated. I use the Canon 17-40L on my Canon 40D and my Canon 7D, but did not just move on but instead added a Canon 24-70L. I primarily shoot landscape and it is difficult to give up my 17-40 and very pleased I have my 24-70 when necessary. I would love to add a 10-22 but just have not dug deep enough in my pocket. Thanks for the link, excellent review and examples, this lens will go to the top of my wish list. If you are looking for a super wide angle, it is the widest available and a very cool lens from a great company. Hey just picked up a 7D for videography. I’m shooting a corporate toast so I’m going to need wide angles of the speakers and profiles. As well as some close ups of some people toasting champagne glasses. Any ideas which lenses I should be using? The Canon 17-55mm f/2.8 EF-S lens is my primary lens for video with the Canon 7D. It is a very sharp lens and performs well in low-light/indoor situations and covers an effective area of 27mm to 88mm (adjusting for the 1.6x crop). It also has Image Stabilization which will smooth out those hand-held videos. It is much lighter than the 24-70mm L and I have been using it as my primary lens for just about everything (still & video). Did you see my latest Time-lapse videos? Those videos were shot with the 17-55mm! Love the info on your blog! It’s been really helpful for a novice like myself. I have an Eos 7d. I use it to shoot products pictures. Distance no further than 5-6 foot from the products. Any suggestions on a lens that will produce super sharp pics? Would like to stay with Canon but open to other suggestions. With a 5-6 foot range, there are plenty of choices. (No need for a dedicated Macro lens at that range.) But, you will need to consider how big the products are which could require a wide angle lens. 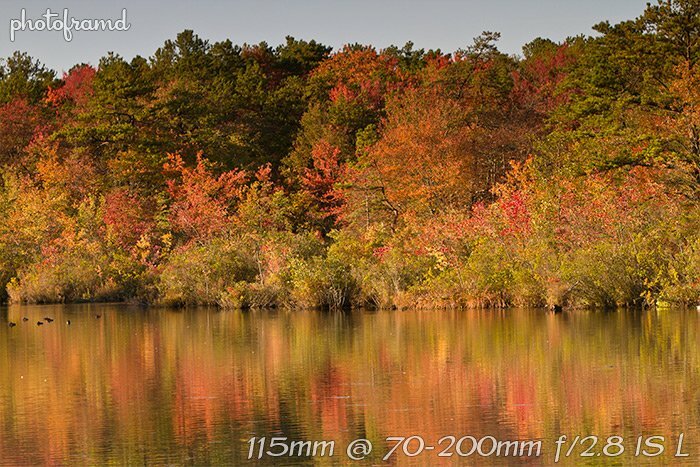 Take a look at the Canon 17-55mm EFS and the Canon 24-70mm L which are listed in the article. Both lenses are very sharp and will give you plenty of latitude to accommodate a variety of products. You can also consider the Sigma 24-70mm which is a great lens and $500 less that the Canon L.
You will also need to consider the Depth of Field and vary the f-stop accordingly. You can start with an f/5.6 to capture a good amount of sharp details and experiment from there. Just picked up a 7D and have questions regarding your recommendation for landscape lens. Would the the Canon 17-55mm f/2.8 IS EF-S or the Canon 24-70mm f/2.8 L be better suited, or maybe another recommendation. I travel to remote locations and weight/size are considerations. Setup speed is also important since I do not usually have a lot of time before the event changes. Love this site and your willingness to share your professional experience! The Canon 24-70mm L is a stellar lens. It was my everyday lens and rarely left my camera. But, ever since I started to use the 7D for video, I have been using the 17-55mm EF-S as my primary lens. It’s IS works great for both still and video. The image quality is as good as the 24-70mm L (the 24-70mm might be a little better, but it’s very close). If weight is a major concern, that will also point you towards the 17-55mm. The 24-70mm L is weather sealed but it is HEAVY! If you are on a tight budget, you should also look at the Sigma 17-55mm f/2.8 w/image stabilization and the Sigma 24-70mm f/2.8. I used the Sigma 24-70mm at the American Photo Model Shoot and the Sigma 17-55mm in my Christmas 2010 video. Thanks for the reply. I like the range on the Canon 24-70mm L, but will the lack of IS be a problem with still photos? Not if you keep the shutter speed as fast as necessary for the subject. You may need to push the ISO, but that’s easy with the 7D. It is excellent at handling low-light photography even at 1600 ISO. It is a trade off. If you want the wider wide-angle, go for the 17-55mm EF-S. If you want the longer telephoto, than go for the 24-70mm. It all depends on what you are planning to shoot. Both are great lenses! Have just recieved 7D with a Canon 18-200 lense for Christmas. I have been looking at a Canon EF 100-400mm f4.5-5.6L IS USM Telephoto Zoom Lens. 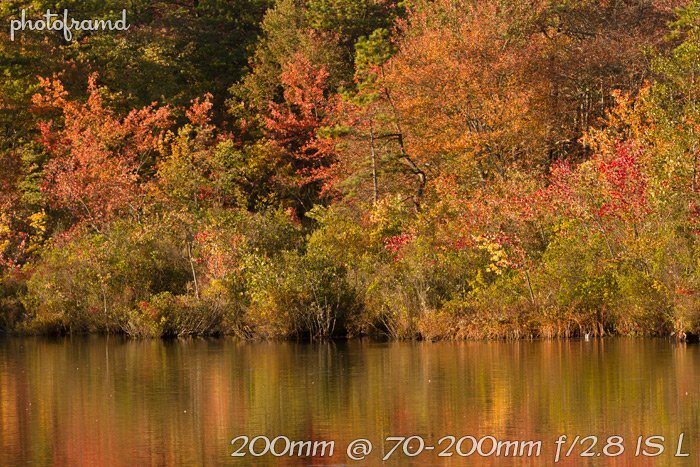 How successful is using a Canon EF 2.0X III Telephoto Extender for Canon Super Telephoto Lenses with this lense? Well, a 2x extender is a big jump. It will reduce the minimum aperture by 2-stops. Considering you are already at a 5.6, that’s a BIG drop. The Canon Extenders are designed specifically for the L series lenses and extend out into the lens barrel. These extenders will NOT work with non L nor third party lenses. And, if you read the reviews of extenders/teleconverters, many complain about the lack of auto-focus. This is a result of the minimum f-stop dropping below an f/8 when combined with a lens with a f/5.6. I have used the Canon 1.4x Extender with the Canon 100-400mm L. However, the BETTER lens would be the Sigma 50-500mm (about the same price) which I personally love for bird photography. That extra reach to 500mm on the Canon 7D gives you the effect of a 800mm lens! And the image quality is fantastic. Take a look at my multi-part review. You could also look at the new Sigma 100-300mm f/2.8 for around $3000. This new lens would work very well with a 2x converter, but not the Canon one. Canon has had a dull year in 2011 with no new lenses being released. Canon did announce the new 200-400mm f/4 L which has a built in 1.4x extender but has yet to confirm a US release date and the price will probably much more than the Canon 100-400mm L. It should be released some time in 2012, assuming there are no more earthquakes/Tsunamis in Japan to further delay production. I will be retiring soon and with some money I will be getting I will be purchasing a new camera and Lens. I want a camera that will do it all. The 8 fps in the 7D really appeals to me since I want to shoot wildlife photos. I also do a lot of landscapes and I want to be able to do portraits. Do you think the 7D would be a good all around camera for me to purchase? And which lenses would you recommend? Thank-you for your help and suggestion. Let me start by saying the only non-Canon lens brand which I recommend is Sigma. I have tried the other third-party brands and have yet to find one worth the money. Sigma makes great lenses which easily rival the Canon L series for a third the price. When you are looking for a fisheye, there are two options – a true circular fisheye (like the Sigma 4.5mm) or a diagonal fisheye (like the Canon 8-15mm L). I own the Sigma 4.5mm and use it often for really wild effects and creating 360-degree panoramas. I only had limited time to test the Canon at PhotoPlus. 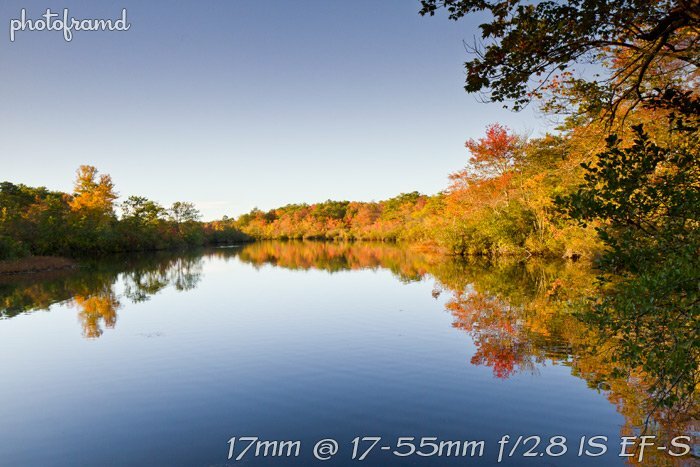 The Tokina 10-17mm does sound like an interesting lens at a reasonable in price, but I have not tested it. You should also consider an ultra-wide angle lens which might be more practical. The Sigma 8-16mm is the widest ultra-wide angle lens without going to a fisheye (a range similar to the Tokina and Canon without the fisheye distortion). The Canon 10-22mm EF-S is another great option for an ultra-wide angle. Think of lenses as an investment in their future use and shop accordingly. Hello, I really do appreciate your quick response and your responses are always valued. So, I just wanted to real quick get your insight on this lens: Canon EF 15 mm f/2.8 Fisheye Lens, if you have ever tested it because I just came across a person, selling it, and what seems to be a decent price at $400. I have never used the Canon 15mm Fisheye. 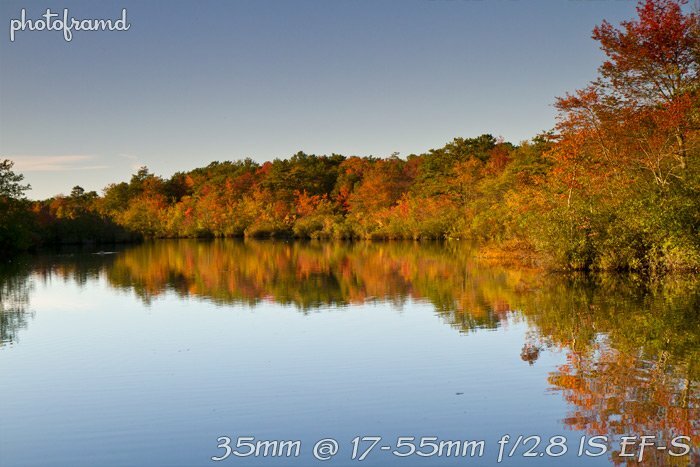 But, remember that the 15mm will be more like a 24mm lens (with fisheye distortion) on the Canon 7D because of the crop. What lens would you recommend for shooting action sports? Depends on your budget. Look for something with an f/2.8 and Image Stabilization. Zooms are much easier and more practical. A 70-200mm from either Canon or Sigma is a great starting point, but will also work well in studios. If your budget allows, you can also look at more powerful zooms and/or primes, but over 300mm gets very expensive, as well as heavy! The Sigma 50-500mm lens is a favorite of mine but requires a well-lighted environment (daylight, outdoors, bright stadium). I bought a used Sigma 70-200mm and it doesn’t fit my canon 7d. Is there a way to make it fit? What do you mean it doesn’t fit?? Did you buy it wit a Canon mount?? I have used this lens in the Canon-mount with my 7D and it works perfectly. Sigma sells the same lens in brand-specific mounts for Canon, Nikon, Sony/Minolta, Olympus and Sigma. Each mount is specially designed to work with the specific brand and speak with the camera’s computer. You must buy the correct version for your camera. I bought it off adorama and it said canon mount, but after receiving it today, I can tell you it doesn’t fit. So, I’m guessing I’m going to have to return it. . . I checked a few Sigma lens and could not find anything that actually indicates the mount. Contact Adorama and tell them that they sent you the wrong mount and arrange the return. Hi I’m thinking of getting the 7D soon n going through sites for some research. This site looks absolutely helpful n have a question as well. My dealer suggested 18-135mm lens as the default lens. Is it a good option or u suggest 17-55 only? Beware of dealer recommendation! Dealers get incentives from manufacturers to push certain equipment, and some dealers are only looking to move boxes. You ALWAYS must independently research and verify your potential purchases. I have never tried the Canon 18-135mm EF-S lens. Ken Rockwell gave it a very good review and it does have Image Stabilization. My concern is the lack of a f/2.8. If you are planning on shooting in low light, and f/2.8 can make the difference between pushing the ISO into a noisier range. Your best bet is to go to the dealer and try it out. It is a fairly inexpensive lens, so you can always think of it as a starter lens and plan on building your lens collection when funds allow. Love the Sigma 50-500mm! I have several articles on this lens. I even have a video in the mix. Since getting this Sigma, I have not even taken the Canon 100-400mm L out of its bag. What are your thoughts on the above 2? I’ve already spent a small fortune on the 7D and the 70-200 so kind of want the next lens to last me some time! In terms of what I love to shoot – I love landscape,wildlife and portraits. The 17-55mm is the ONLY Canon f/2.8 wide angle zoom with Image Stabilization. I was hoping that Canon would address this when they released two new high profile cameras (the Canon 1D X and the Canon 5D Mark III), but they did not. The 17-55mm is an EF-S mount which will only work on a APS-C camera like the Canon 7D. My everyday walk-about lens is the Canon 17-55mm EF-S. Since I bought it, my beloved Canon 24-70mm L has remained home in its bag. The 17-55mm is perfect for shooting stills and video. The Image Stablization really works with video and can create the “float” effect when balanced with a weighted monopod/tripod. The Canon 24-70mm L is an excellent lens. But, it is big and heavy. You will feel it after hand-holding it for an extended period of time. The rumors of a Canon 24-70mm L with IS have persisted for years. I was hoping that Canon would include image stabilization in this lens when they released the updated design, but Canon did not. Instead, they increased the diameter of the lens to 82mm and made it shorter and lighter. That may sound good, but if you have any 77mm filters (which was the standard size of most Canon L lenses), they will NOT fit on this new lens! Oh, and they also increased the price of the lens too! Some glad I bumped into this site ! Took delivery of my 7D this week and rushed out to try it out. I was horrified at the results compared against my 30D. The noise is appalling even at low iso. I will look at these tutorials and alter and supply feedback. I’m seriously thinking about getting a long zoom. I enjoy bird photography and sporting events. The Sigma 50-500mm looks like the perfect range for me. I see you have one and seem to get good results with it. Do you think it would be good at a basketball game? Do you get sharp photos of the birds? It’s a great lens as long as you have enough light. As soon as the light starts to wane, you will need to push the ISO to 1600 and plan on some RAW clean-up in Lightroom. I have not used it indoors, but it would have the same low-light issue. Depending on your budget, you should also look at the Sigma 100-300mm f/2.8. It’s an awesome zoom meant for low-light.